The swimming pool at this YMCA is greatly appreciated by the community, and they let you try it out with a free Guest Pass. 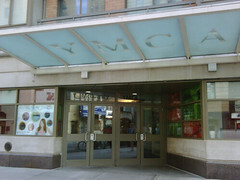 In addition to its fitness resources, it's a cultural history site, according to the website nysonglines.com, "The oldest Y in NYC (from 1869), it's named for Robert Ross McBurney, an early leader of the Y movement. Merrill met Lynch in its 23rd Street swimming pool in 1913; William Saroyan stayed there when he came to NY in 1928, as did Keith Haring 50 years later. Other members have included Edward Albee, Andy Warhol and Al Pacino. 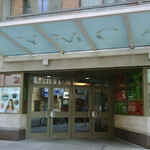 This Y branch inspired the Village People's iconic song 'YMCA.'"